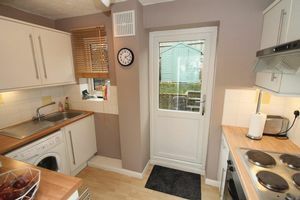 Fitted with a range of wall and base level units with roll-edged worksurfaces, concealed lighting to wall cupboards, built-in electric oven and hob with extractor hood above, stainless steel sink unit and drainer with mixer tap, space and plumbing for washing machine, vinyl floor covering, tiled splashbacks, double glazed window to rear aspect, double glazed door to garden. Airing cupboard housing hot water tank and slatted shelving, access to loft space. 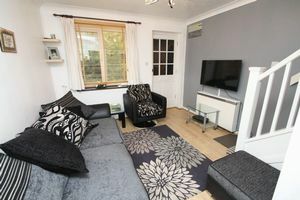 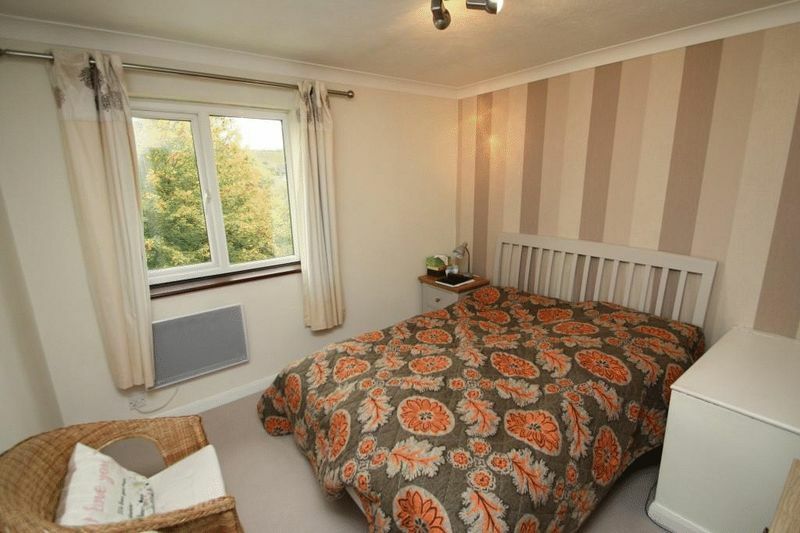 Double glazed window to front aspect enjoying distant views towards open countryside, electric wall heater, ceiling coving, TV point, stairwell with storage space beneath. 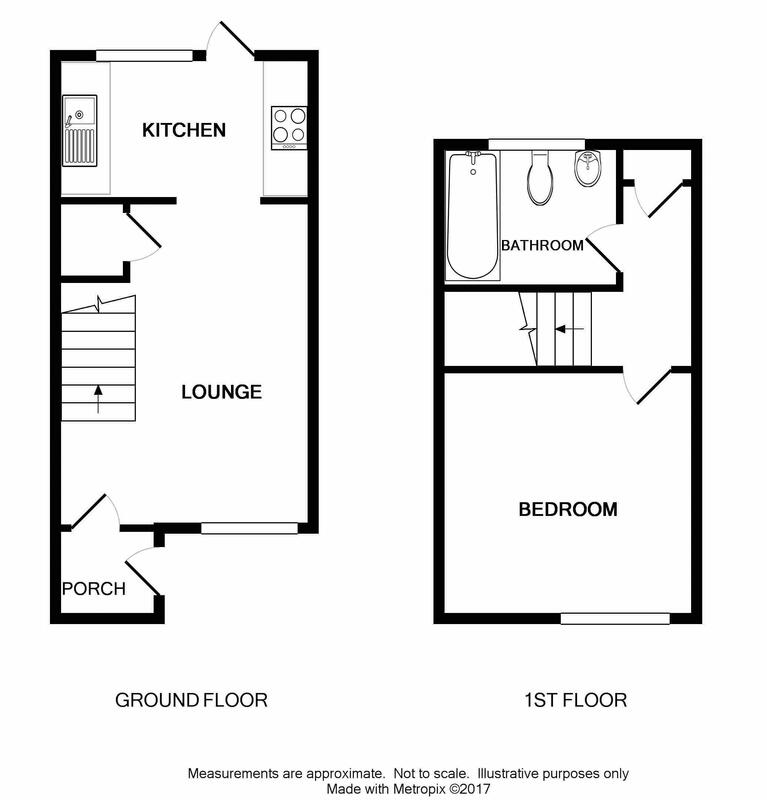 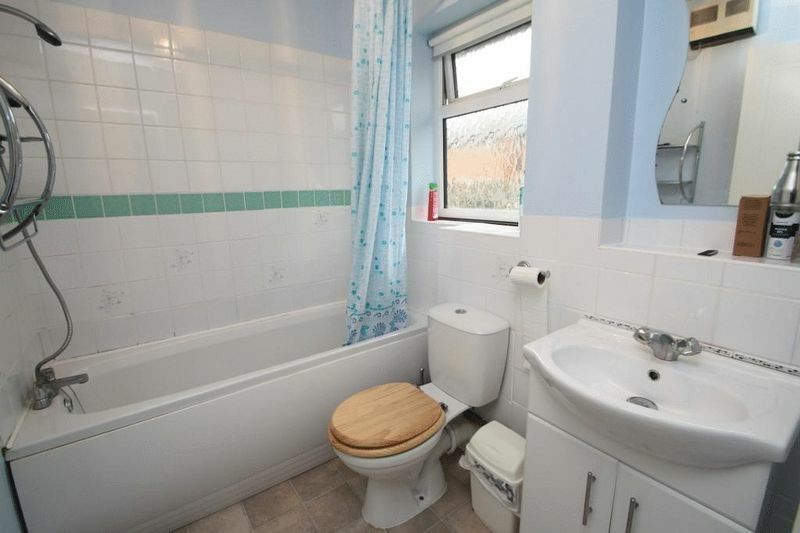 Suite comprising panelled bath with mixer tap and shower attachment, hand wash basin with mixer tap and cupboards below, low-level WC, double glazed window to rear aspect, 'Dimplex' electric wall heater, vinyl floor covering, ceramic splashback tiling. 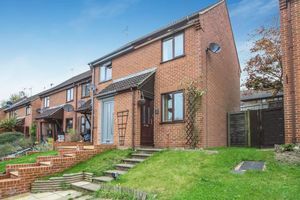 To the front there is a patio area and area laid to lawn, steps to front door, gated side access with pathway leading to the rear garden. 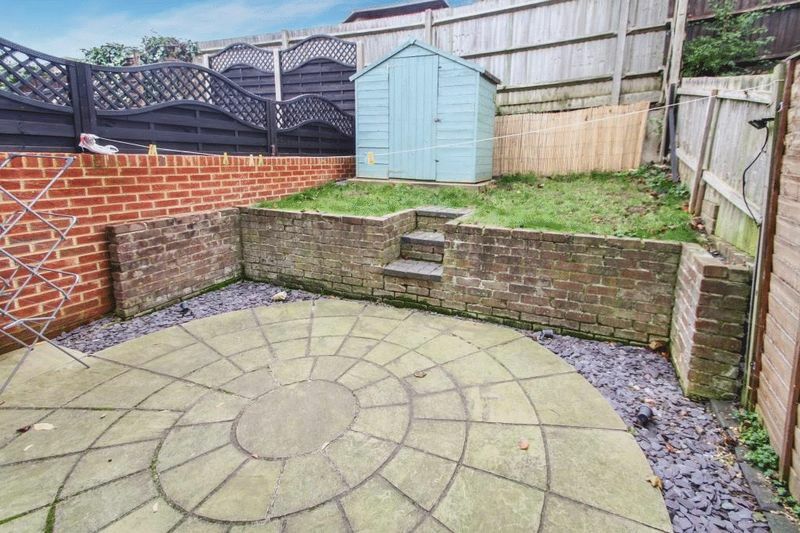 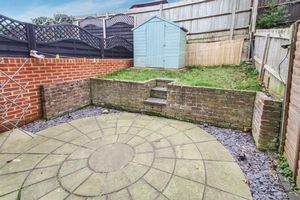 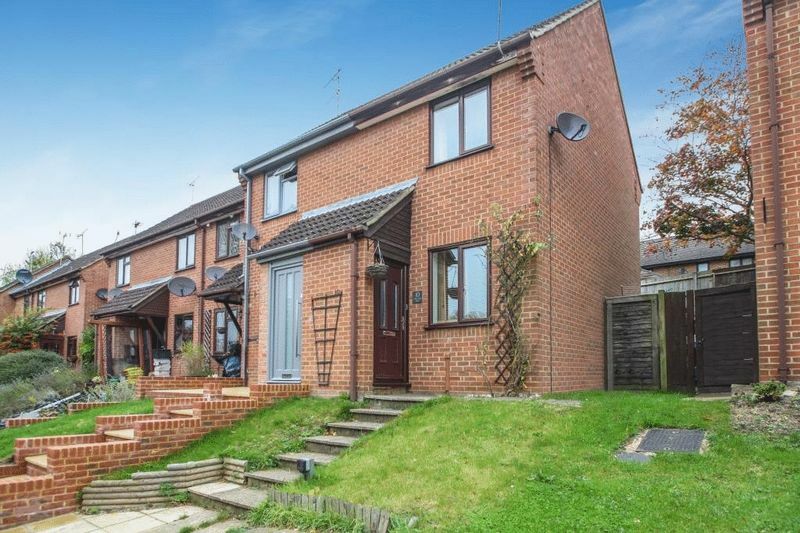 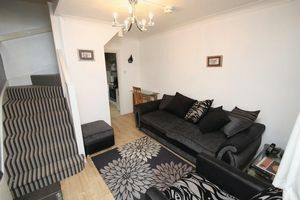 To the rear there is an outside tap, patio area with small raised walling and steps up to an area laid to lawn, garden shed, enclosed by panelled fencing.